We’re guessing you are doing a lot of double takes these days. If you were among the hundreds of alumni who visited us in April for Alumni Weekend (and we sure hope you were), you saw firsthand how dramatically the DCG landscape is changing. Our building is now a stone’s throw from two new Augusta University residence halls and the cutting-edge resources of the adjacent Harrison Education Commons. We continue to grow to serve our students’ needs. 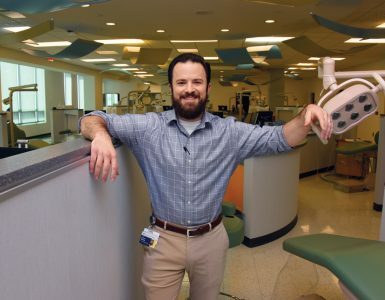 DCG is expanding right along with the campus, continually adding new programs, facilities, equipment and innovations to ensure a second-to-none education for our students and excellent treatment for our patients. 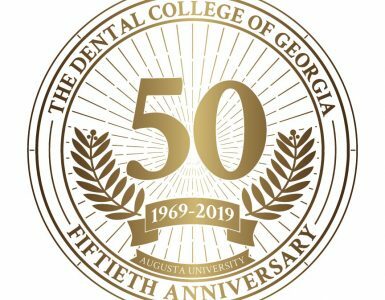 Of course, we also recently changed our name to better reflect the breadth and scope of our role as Georgia’s sole dental college, and we have introduced a new seal to complement the name change. We are very proud of this visual symbol of our college and are excited to move forward with our strongest-ever identity and sense of purpose. Along those lines, our students spearheaded the creation of a class ring, which is available both to students and alumni. How proud you’ll feel to recognize your fellow classmates at a glance wherever you travel. And how pleased we are to make this available to you. The magazine you’re reading has received a facelift as well. The new design offers the same great content you’ve come to expect – feature articles about our exemplary students, residents, faculty, staff and alumni, as well as documentation of DCG news and events. But the new look, echoing our other changes, provides a larger landscape to publicize our critical mission in leading the state’s commitment to excellent oral health. 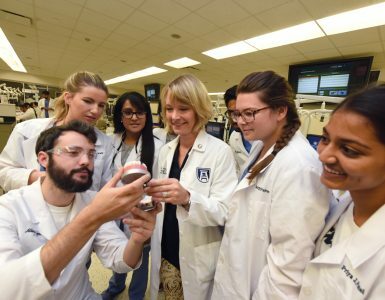 The magazine has grown both physically and conceptually, providing new sections that guide you through our advances on campus, statewide, nationally and internationally. We hope you enjoy the changes and welcome your feedback for ongoing improvement. Let us hear from you! This is your magazine, and we want to do you proud.